The non-intact beef items (ground beef and other products that are not whole cuts of meat) that are being recalled by USDA bear establishment number "EST. 267" inside the USDA mark of inspection. WASHINGTON, Dec. 4, 2018 – JBS Tolleson, Inc., a Tolleson, Ariz. establishment, is recalling approximately 12,093,271 pounds of non-intact raw beef products that may be contaminated with Salmonella Newport, the U.S. Department of Agriculture's Food Safety and Inspection Service (FSIS) announced today. Editor's note: This release is being reissued as an expansion of the Oct. 4, 2018 recall. 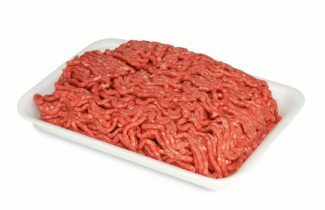 The scope of this recall expansion now includes an additional 5,156,076 pounds of raw beef products, which were produced and packed from July 26, 2018 to Sept. 7, 2018. FSIS is concerned that some product may be frozen and in consumers' freezers. These products should be thrown away or returned to the place of purchase. Editor's Note: FSIS and our public health partners, including the Centers for Disease Control and Prevention (CDC) and state public health officials, are investigating a Salmonella Newport outbreak. Please note that FSIS is continuing to investigate illnesses associated with this widespread outbreak, and additional product from other companies may also be recalled. Salmonella is prevalent and can be present in raw poultry and meat – no raw poultry or meat is sterile. In addition to discarding the product associated with this recall, consumers can protect themselves now and in the future by ALWAYS cooking their raw meat to a safe internal temperature, which is measured by using a food thermometer. The cooking process kills the Salmonella. No one should be eating partially cooked or raw meat. Additionally, it is essential that people wash their hands after handling raw poultry, meat, and pet food to avoid cross contamination.